10:1 He summoned twelve1 of his disciples and authorized them to cast out unclean spirits and to heal every kind of disease and illness. 10:4 Simon the Canaanite; and Judas Iscariot who also had turned him over to be arrested. 10:8 Heal the sick, cleanse the lepers, raise the dead and cast out demons – freely you have received, now freely give. 10:10 nor carry a bag, or two coats, or shoes, or staff – for one who works is worthy of food. 10:11 And once you enter into a village or town, ask who in it is worthy – and stay there until you leave. 10:13 If the house is worthy, bring your peace there. But if it is not worthy, withhold your peace from there. 10:14 Whoever doesn’t receive you nor heed your teachings – as you leave that house or that village, shake the dust off your feet. 10:15 Truly I say to you, the day of judgment was more tolerable for the villages of Sodom and Gomorrah than it will be for that village. 10:16 Be aware that I am sending you out as sheep among wolves. So be wily as snakes yet pure as doves. 10:17 But beware of the people, for they will hand you over to their councils and harass you in their synagogues. 10:18 And because of me you also be brought before governors and kings – as witness to them and the pagans. 10:19 But when they arrest you, do not worry about how or what you will speak; because it will be given to you in that moment what you should say. 10:20 Because it will not be you who will speak, but the Spirit of your LORD who speaks through you. 10:21 And brother shall have their brother arrested to die – and the father and the child – and the children shall rise up against their parents and cause them to be put to death. 10:22 You will be detested by everyone on my account, but it is those who endure to the end that will be kept safe. 10:23 Yet when they persecute you in one village, flee to the next. For truly I say to you, you will not get through the villages of Israel before the Servant of Humanity will arise. 10:24 The student is not above the teacher – nor a servant above his master. 10:25 It is one thing for the student to follow his teacher and the servant to follow his master. If the name of the master of the house is Beelzebub – what shall the house members call his household? 10:26 Therefore do not fear them, because there is nothing hidden that will not be revealed, nor covered that will not be discovered. 10:27 What I speak to you in the darkness, speak out in the daylight – and what you’ve heard whispered in your ear, proclaim from the rooftops. 10:28 And don’t fear those who can kill the body but are unable to kill the soul. Rather, fear those who are able to ruin both the soul and the body in hell. 10:29 Are two sparrows not sold for a farthing?6 Yet one of them will not fall to the ground without your LORD. 10:30 Yet the very hairs on your head are all numbered. 10:31 So don’t worry – you are more valuable than many sparrows. 10:32 Accordingly, whoever affirms me before others – I will also affirm him before my LORD in the spiritual realm. 10:33 But whoever rejects me before others; I will reject him before my LORD in the spiritual realm. 10:34 Don’t think that I appeared to bring peace on earth: I did not come to bring peace, but a sword. 10:35 For I appeared to pit man against his father and daughter against her mother – and daughter-in-law against her mother-in-law. 10:36 A man’s foes shall be those of his own household. 10:37 One who loves father or mother more than me is not worthy of me – and one who loves son or daughter more than me is not worthy of me. 10:38 And one who doesn’t pull up stakes7 and follow me is not worthy of me. 10:38 One who finds his life will lose it – and one who loses his life for my sake shall find it. 10:39 One who accepts you accepts me – and one who accepts me accepts Him who sent me. 10:40 One who accepts a Prophet on account of a Prophet shall claim a Prophets reward – and one who accepts a Holy man on account of a Holy man will receive a Holy man’s reward. 1. Verses 10:1 and 10:5. According to Luke 10:1, The total number of disciples Jesus sent out to teach was 72. These 12 disciples must have been among the 72 disciples described in Luke. 2. Verse 10:5. The Greek word ἔθνος (ethnos) can mean "pagans" – those “not worshiping the true God,” according to the lexicon. 3. Verse 10:5. At that time there was animosity between the Judeans and the Samaritans, related to their acceptance of the Prophets. 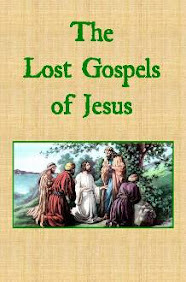 It appears that Jesus wanted his disciples – who were Judeans and thus accepted the teachings of the Prophets – to focus their teachings upon others who accepted the Prophets. 4. Verse 10:6. Jacob was given the name of Israel by the Supreme Being and he is considered the elder spiritual teacher among the Judeans. 5. Verse 10:7. This is the same teaching of John the Baptist (Matt. 3:2) and Jesus (Matt. 4:17). Jesus is thus instructing them to teach to others the teaching that both he and John taught. (see Matt. 4:17). 6. Verse 10:29. The smallest denomination – equivalent to a cent. 7. Verse 10:38. The Greek word σταυρός (stauros) refers to the stakes used by farmers to hold up their vines, trees and bushes. These were often crossed to provide stability for the vine to rest upon. The term “pull up stakes” – still used to this day – indicates a person uprooting his life. In the context and audience of the statement, Jesus is asking his followers to "pull up stakes" in the mundane world in order to follow Jesus. This indicates fully committing oneself to the teachings of Jesus.